Psychologist Michael Rosmann said that whenever he is home at his family's farm in western Iowa he is taking calls or answering emails from farmers asking for help or counseling. He specializes in behavioral health for farmers and said he has received more requests for assistance in recent months than the last three decades. "My phone and my email have just been completely filled for the last six months. I work virtually seven days a week if I'm around the phone is always going email is always coming," he told ABC News. The calls are part of a critical issue faced by farmers, their profession faces the highest overall rate of suicide in the nation — much higher than the number of suicides in the general population, according to the Centers for Disease Control and Prevention. Debbie Weingarten and Michael Rosmann during a visit to his farm in Harlan, Iowa, September 2017. Debbie Weingarten reached out for help four years ago when she was running a vegetable farm in Arizona. She was a first-generation farmer and said that even without the pressure of maintaining a family farm she felt depressed and anxious about the possibility that they would lose money or crops. "I felt like the risk that farmers undertake to produce food for eaters is not spread out fairly across the food system, so that's squarely on the backs of farmers," she told ABC News. She said couldn't find anyone to talk to online who understood her situation until she found a program run by Rosmann. The website said it lost funding a few years before but she called anyway. "I was grasping at straws," she said. Rosmann picked up the phone. Weingarten said she left farming in 2014 but still writes about agriculture. She spent five years researching and reporting a story about the suicide rate among farmers that was published in The Guardian last year. Farmers in industries that have faced falling commodity prices and international trade disputes have faced additional economic pressure in recent years and farming experts and industry leaders say the uncertainty around the nearly $400 billion dollar Farm Bill adds additional stress for farmers and their families. “Farmers were going through a very stressful winter weather-wise, a cold and tough winter, and on top of that we are into our fourth year of low milk prices, below the cost of production, and that has been creating a lot of stress,” Robert Wellington, a senior vice president of Agri-Mark Dairy Farmer cooperative, told ABC News on the phone Thursday. 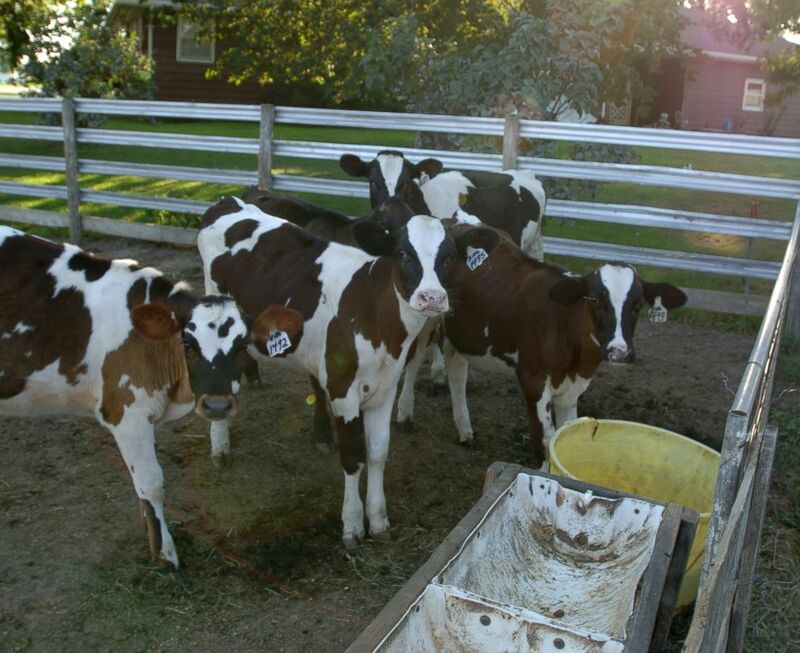 Dairy cows on a Iowa farm are pictured in this undated stock photo. On average, Wellington estimated, small and medium dairy farmers have struggled through four years of milk prices that are 10 to 30 percent below the cost of production. His group sent a letter to members in January forecasting yet another year of low milk prices. In the letter, they included phone numbers for people dealing with financial and emotional stress and a suicide hotline. The farm bill has traditionally been bipartisan legislation to maintain subsidies, crop insurance programs, and livestock disaster programs but there has been dramatic debate and delays in this year's bill due to proposals to cut funding from food stamp programs that make up a huge portion of the money allocated by the bill every five years. This draft of this year's farm bill in the House would have also provided funding for crisis hotlines and other programs to provide mental health help to farmers. "Our farmers who feed the world are feeling the weight of the world on their shoulders," one of the sponsors of that bipartisan provision Rep. Tom Emmer, R-Minn. said on the House floor ahead of the Farm Bill vote. The House rejected the proposed bill. In a 2016 report, the Centers for Disease Control found that about 84 out of every 100,000 people in the farming, fishing and forestry industries died by suicide in 2012, the most recent data available. The suicide rate for the general population was about 12 out of every 100,000 people that year, according to CDC data. 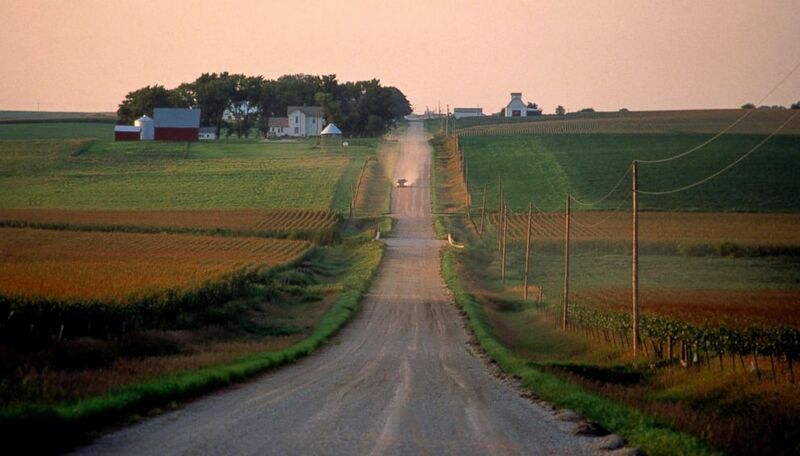 A farm in Iowa is pictured in this undated stock photo. That study included data from 17 states but did not include data from states like Iowa, Texas, or California where agriculture is a major part of the economy. The report said that the high rate among farmers could be due to the potential to lose money in the business, as well as social isolation, lack of mental health services, or access to lethal means. Rosmann is a psychologist and adjunct professor at the University of Iowa who specializes in behavioral health for farmers. He said farming is physically and emotionally stressful but that the current health system does not deal with all of the physical and mental risks for farmers. "The bigger picture is that we have not attended to the behavioral well being of the agricultural population the way we have to the general population's need for behavioral health," Rosmann told ABC News. He said that farmers have a unique psychology that drives them to work hard but that some factors are out of their control, like policy, weather, or commodity prices, resulting in a very stressful situation, adding that there has been increased economic stress on farmers in recent years and that they think they're being economically marginalized. Rosmann said farmers have a strong bond to their land and their farming operation and that on a psychological scale the stress of a life event like losing a family's farm can be just as traumatic as losing a child. "It's almost always because of the loss of livelihood that people do such dramatic things as taking their lives," he said. Rosmann said he strongly supports a provision in the farm bill sponsored by Rep. Tom Emmer, R-Minn., to provide more money for states to provide mental health services like crisis hotlines for farmers and ranchers. He said that some states offer resources like a crisis hotline but they need a stronger network of resources and a national center to help with the problem. In Minnesota the state employs one rural mental health counselor to help roughly 100,000 farmers, according to MinnPost.com. 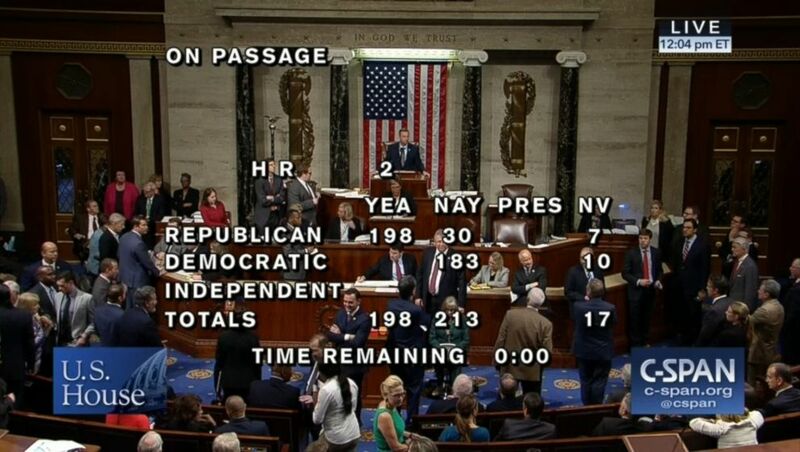 The U.S. House of Representatives votes down a farm bill, 198-213, on May 18, 2018. 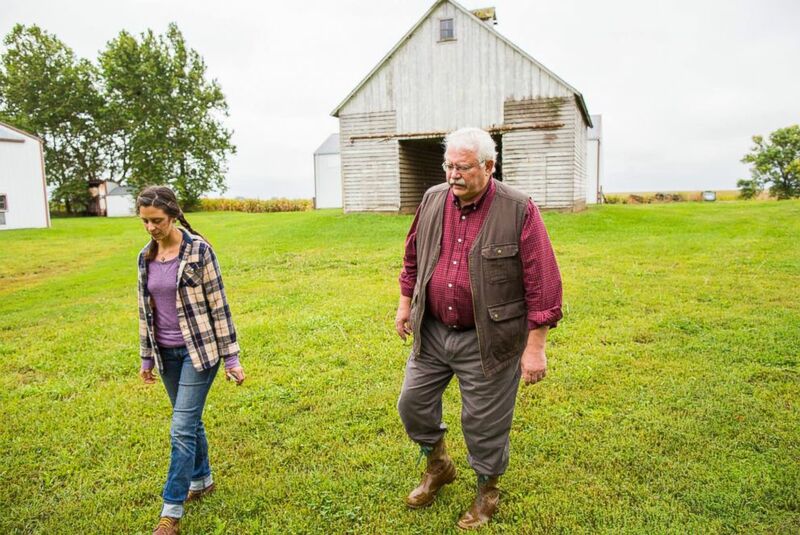 Sen. Tammy Baldwin, D-Wis., and Sen. Joni Ernst, R-Iowa, introduced a bipartisan bill on the issue of farmer suicide that would mandate more spending on mental health resources in rural areas. Rep. Tom Emmer, R-Minn., also introduced a bipartisan bill earlier this year to provide mental health services for farmers and ranchers. Emmer's bill was included in the version of the farm bill that was voted down in the House. The Senate's farm bill has not yet been released. The current farm bill is set to expire in September. The National Suicide Prevention Lifeline provides 24/7 free, confidential support. The organization Farm Aid also offers a hotline for farmers in need of emergency help and a directory of local resources.